My own personal show-off space. 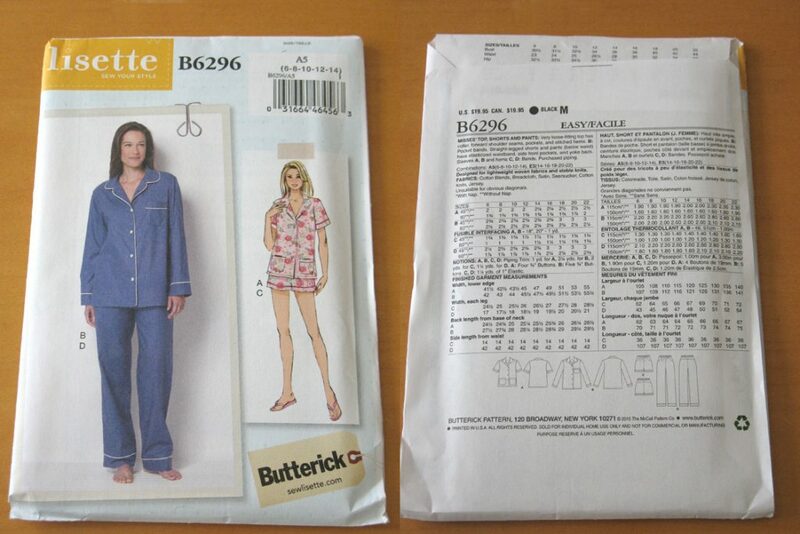 Here’s an update to this pattern probe of Butterick Pajama Set B6296. 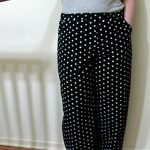 Click HERE if you would like to read it. I got to say, the fit was better this time around. 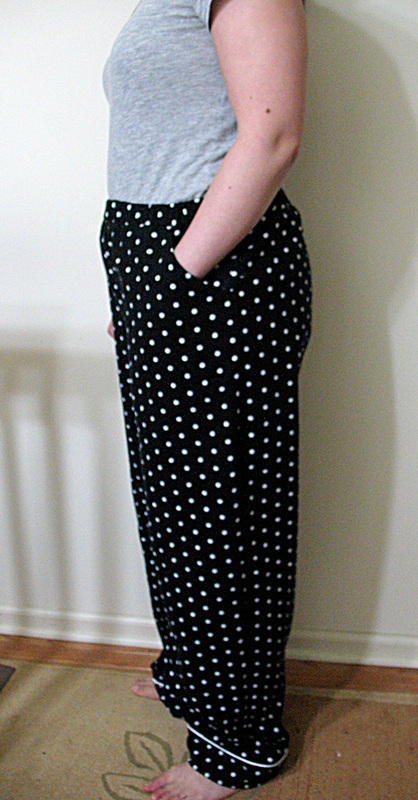 There is less room in the hips with this pair and the leg length is shorter too. 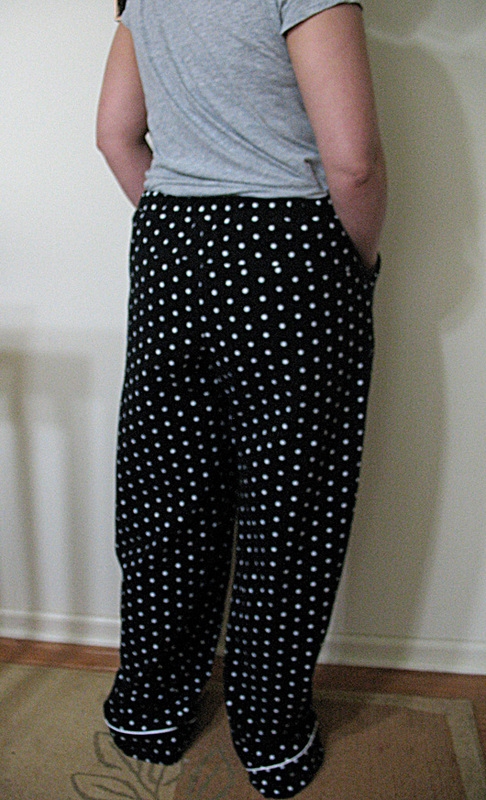 Around the waist I used an underwear/pajama elastic as opposed to the no-roll elastic in the first pair. 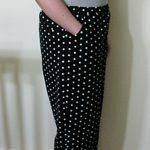 It’s definitely more fitted this time, but there is still a looseness that I would like to rectify, and the elastic tends to roll one in a while too. 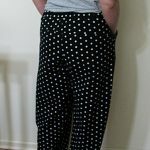 As for the waist and leg bands, I noticed when making the first pair that I would have to scrunch the pants top and legs in order for the band pieces to fit. 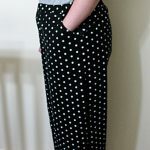 They were slightly larger in width than the bands for the corresponding pants pattern size. 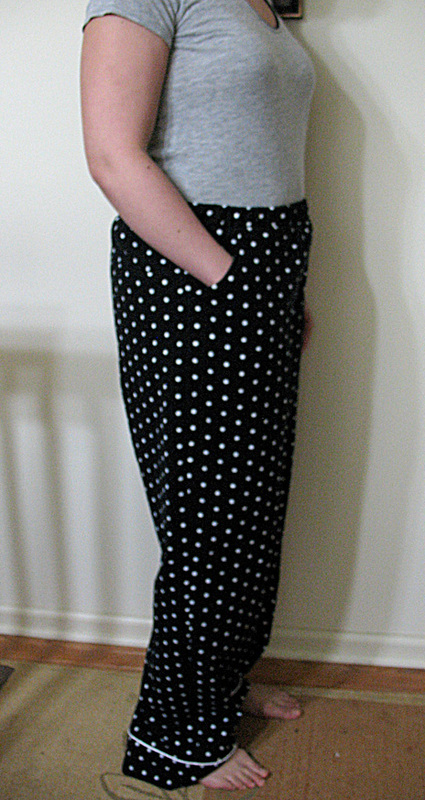 So this time around, I used the waist & leg bands that were ONE pattern size UP to reduce the scrunching. 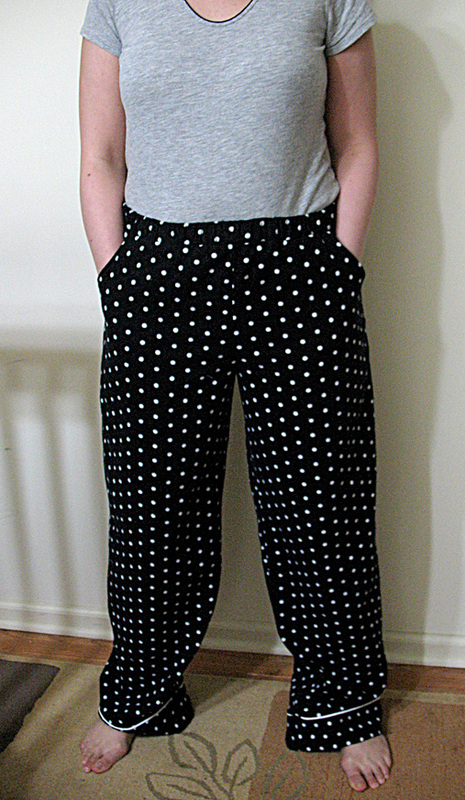 It worked and looks much better to me after I sewed the pieces together. 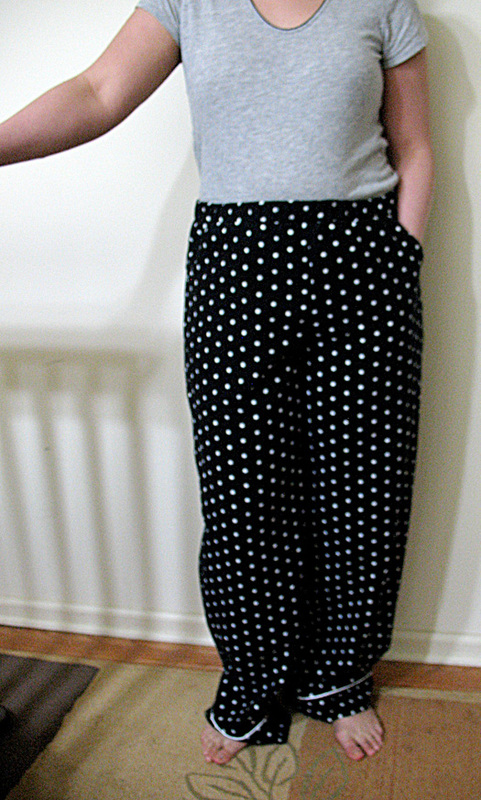 I have no idea why the pattern design was done that way, but there it is. I’m glad I made these changes with this pair. 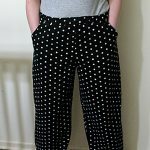 My advice for this pattern is to go 1 size smaller for a closer fit, 1 size larger for the waist/leg band pieces and use the no-roll elastic for more durable pulling on/off action. Go Here to check out my sewing pattern collection.